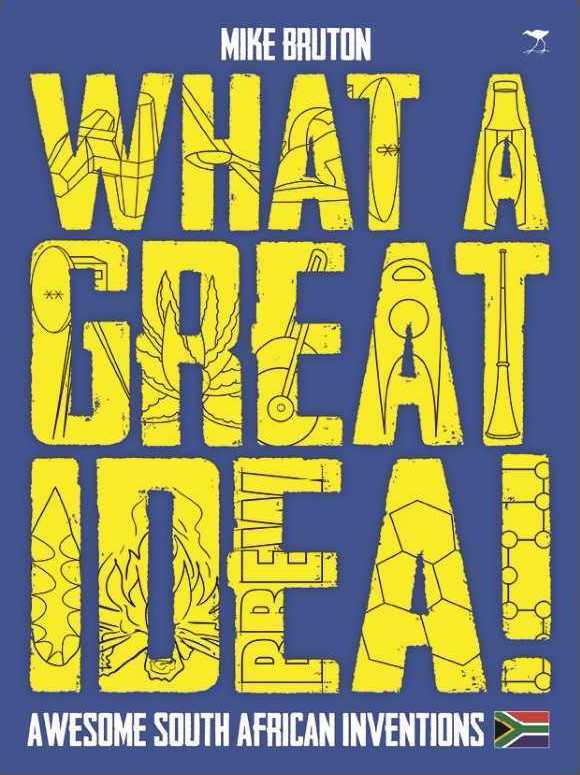 Bruton’s book is a celebration of local innovation, of the entrepreneurs and inventors who have brought together novel concepts and crafted them into something useful for society. What A Great Idea!, which reads like a Guinness World Records book, is also a call for more: more creativity, more entrepreneurship, more innovation for the whole country’s sake. We need “ways of doing things more efficiently, streamlining existing process, and creating new products and industries in a country desperate for economic growth where there is a smorgasbord of problems, some of which can be addressed with technological intervention,” wrote science journalist Sarah Wild in the introduction to her 2015 book, Innovation: Shaping South Africa Through Science. But how exactly does one innovate? What lessons can we impart to our youth to help them become tomorrows movers and shakers? If you want to become an Olympic athlete, we have a pretty good idea of what will be required of you and what level of commitment you should expect to put in to get the results you want. With innovation and the kind of entrepreneurship SA is currently looking to cultivate, however, things are much harder to pin down. Innovating, inventing and becoming a successful entrepreneur, as it turns out, is not quite what one might expect. It’s not as simple as moving from point A to point B to point C; instead, it’s more about creating the right conditions for innovation to arise. 1. Set slightly unrealistic goals: They force you and your team to be ambitious, think out-of-the-box, and be creative across different fields. 2. Create your own job: Recognise that it may be easier for you to create a job through techpreneurship than to secure an 8-to-5 job in the conventional way. 3. Be disruptive: No matter what industry you’re in, those most likely to succeed will be the disruptive ones. Nothing is immune to tech. 4. Believe in your vision: If your vision is unique, it will give you extra initiative, energy and endurance. 6. Have a long attention span: Never stop thinking about your idea, even when you are otherwise engaged. Your eureka! moment could come at any time. 7. Don’t fall in love with your idea: Be aware of its shortcomings and be realistic about its potential. 8. Be aware of new business opportunities and market gaps: Take the gap if one comes your way. 9. Is the market big enough? Ensure that the target market is big enough for your invention (but remember that many disruptive inventions create new markets for themselves). 10. Identify problems that need to be solved: Be a problem finder as well as a problem solver. 11. Are you meeting a real need? Be certain that your invention/concept meets an important need in society. 12. Be prepared to start small with what you have: Don’t expect to have everything place from the outset. Remember that ‘small is big’ in the world of the start-up techpreneur. 13. Be prepared to take risks: If there are no risks attached, someone else would have done it already. 14. Know your competitors: Know the strengths and weaknesses of their products and services. 15. Develop a feasible concept plan and business plan: But regard them as flexible tools. 16. Financial management: Know the basics of cash flow and financial management, and gradually improve your expertise in these fields. 17. Don’t give away control: Don’t give away too much control to your financial backers. 18. No overnight success stories: being an inventors and techpreneur is very hard work over a long period of time. Expect a ’10,000-hour success story’. 19. Find out what makes them tick? In an interview, ask a potential staff member, “What would you do if you didn’t have to work for money?” If their answer aligns with your work space, hire them. 20. Choose the right people: Hire people who say ‘yes’ more than ‘no’, and whose drive and [passion create continuous momentum in the company. AS your staff is your greatest assist, make sure that they have the right balance of expertise, experience and mind-set. If you are the brightest person in the room, you haven’t hired well. 21. Have a leaner mind-set: Work with people who have a ‘learner’ mind-set, who are interested in finding new ways to solve problems, rather than an ‘expert’ mind-set, who can’t wait to tell you the tried-and-trusted answer. 22. Constantly energise your team: The best thing you can do with power is to give it away. 23. Have fun: Bring what you did for fun at the age of 10 into the workplace. It makes people more inquisitive and creative. Create fun spaces for informal brainstorming. 24. Jot down ideas (even dreams): Always have a notebook available to jot down impromptu ideas. 25. Be a good listener: Practice the art of listening and implementing other people’s ideas. Leave your ego behind. 26. Fail quickly: If an aspect of your venture is destined to fail, make it fail quickly so that you can learn from your mistake and move on. The only true failure is not to learn from your mistakes. Be agile and move on. 27. Be honest with yourself: Be brutally honest with yourself as to how well you invention is impacting the marker or how much your business is growing. 28. Form follows function: Develop your operational plan before you put your structure in place. Remember that the culture of your company or team is a by-product of its function and form. 29. Establish partnerships: Establish strategic partnerships without losing your independence. Make sure that your partnerships are win-win relationships, and don’t be afraid to create unusual partnerships across disciplines. 30. Continue your education and participate in events that promote innovation: Take advantage of local innovation hubs and incubators and contribute to their work. Learning is your most important currency. 31. Mix with other positive-minded entrepreneurs: They will provide positive reinforcement during difficult times and teach you the ‘tricks of the trade’. 32. Talk across the gap: Have conversations with people completely outside your industry or field to obtain fresh perspectives. 33. Protect your intellectual property: It is one of your key assets. 34. Become a key driver of social change: You can do well and do good at the same time. 35. Measure your success: Measure you success not only in comparison with others, or through your profits, worldly belongings or social status, but through the difference that you are among to your community. Ask yourself how many of your ideas have come to fruition. Judge yourself but your motives and others by their actions. 36. Have customer empathy: Develop a sense of empathy so that you are able to connect with your customers by understanding what it is like to be in their shoes. 38. Don’t lose touch with your roots and family: They are you ultimate support. 39. Elevate the status of inventors and entrepreneurs: Make them ‘rock stars’. After all, they make a more significant contribution to society that the itinerant celebrities of stage and screen. 40. Enjoy the journey: Don’t only celebrate the hard-won end products, enjoy the journey along the way.